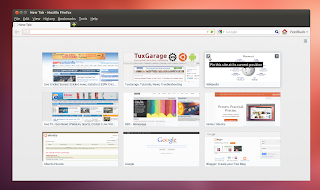 Firefox 12 was released a couple of days ago and those expecting radical changes in this release might well be disappointed. However, Firefox 13, currently in the beta channel and scheduled to be released on June 5th, promises quite some stuff. 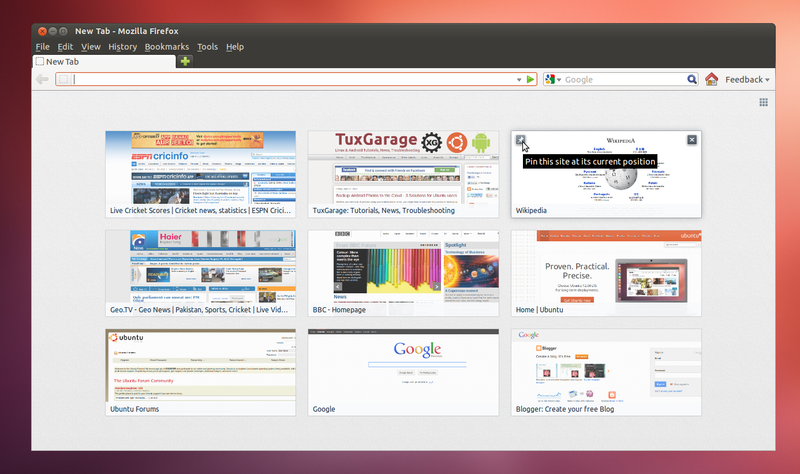 A new 'New Tab' page, which by default features the 9 most visited websites. Redesigned default 'Home' page with easier access to Downloads, Bookmarks, History, Add-ons, Sync and Settings. It also features the 'Restore Previous Session' button. On-demand loading of restored tabs for faster startup. This means that the content of a restored tab is not loaded unless you click on it. The SPDY protocol is now enabled by default for faster browsing on supported sites. Smooth scrolling is now enabled by default. A number of Developer Tool improvements. Improved security and bug fixes. 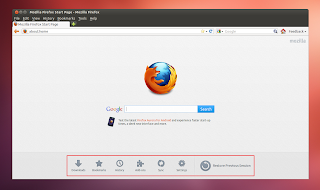 If you are curious and want to install Firefox 13 beta in Ubuntu Lucid, Natty, Oneiric or Precise, you can install it from the 'firefox-next' PPA. However, publishing has been disabled for this PPA for now, but the packages for Firefox 13 have already been built. Please note that installing the beta version of Firefox using this PPA would replace your current stable version of Firefox. Update 4/28/2012: Packages of Firefox 13 beta are now available in the 'firefox-next' PPA. Later, for removing that PPA from your Software Sources, go to 'Software Center > Edit > Software Sources > Other Software' and delete the entry for the 'firefox-next' PPA. Just extract the downloaded package and run the 'firefox' binary from within the extracted directory.